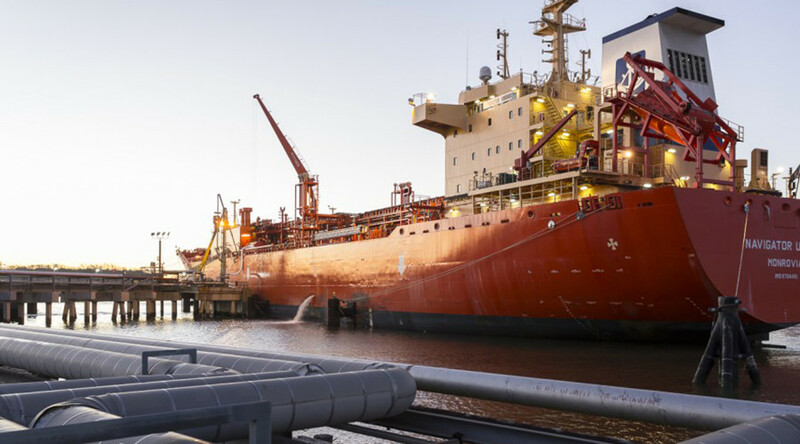 Tankers run by US energy corporations are delivering liquefied natural gas (LNG) bought in Russia to the Antwerp Gas Terminal in Belgium, reports Belgian daily Le Soir, as part of an investigation based on the 'Paradise Papers' leak. On Sunday, the International Consortium of Investigative Journalists (ICIJ), reportedly financed through George Soros funds, released over 13 million documents from the world’s leading offshore law companies. The documents revealed that four cargo ships owned by Navigator Holdings bought gas produced by Russian petrochemical company Sibur. The LNG was reportedly loaded at the Russian Baltic port of Ust Luga. The financial papers also revealed that US Commerce Secretary Wilbur Ross has a 35 percent stake in Navigator Holdings, which is registered in the Marshall Islands. Earlier this year, the Russian envoy to the EU Vladimir Chizhov said the US wouldn’t be able to replace Russian gas on the European market even if it were free. The probe reveals the EU, which is actively building new LNG terminals to lessen its dependence on Russian natural gas, is currently purchasing Russian fuel but at a higher price and technically not from Russia. Washington seeks to effectively push Moscow out of the European gas market by particularly burying the Nord Stream2 gas pipeline project “with all sorts of legal decisions, instruments [and] sanctions,” Russia’s Prime Minister Dmitry Medvedev said in late September. Over the last year, the US has increased LNG shipments to Europe, but it still covers roughly only six percent of European LNG imports, challenged by Norway, Qatar and Algeria, and not even taking into account natural gas supplies through other pipelines. Meanwhile according to Gazprom, Russian share of the total European gas market reached some 34 percent last year. As a result, the US may be testing a new strategy to cut Europe off from Russian gas supplies. “US companies are ready to search for one-use solutions that bring some profit to them but make it difficult for other states to do business. That characterizes the whole American approach to trade,” said Vladimir Bruter, an expert from the International Institute of Humanitarian and Political Studies, as quoted by Russia’s federal news agency. In June, Washington introduced a new round of restrictions on Russia’s banking and energy sectors. Apart from imposing new sanctions directly on Russian enterprises, the law also envisages penalties for individuals and entities for investing more than $5 million a year or $1 million at a time in Russian energy export projects. It could also impose penalties on companies providing Russian energy sector enterprises with services, technology or information support. In legal terms, the current situation is not breaking international or any other laws, but the results are yielding fruit for the US, according to the analyst. “Nothing personal, it is just business. Americans have bought Russian gas at a profit, and now they are selling it at a profit, concurrently trying to drive Moscow out of the energy market,” Bruter said.